French security officials have extinguished the Olympic flame in Paris after protesters disrupted a torch-carrying relay in the centre of the city. Police in jogging gear put the flame out before taking the torch to a special bus, apparently to move it away from angry protesters. The flame was being carried along the Seine River at the time. 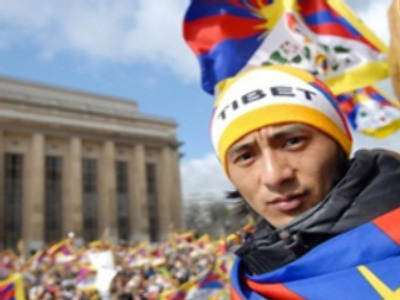 Police stopped the relay because protesters carrying Tibetan flags threatened to disrupt the event. It is not clear when or where the relay will resume. About 3,000 French police are on hand to protect the Olympic torch. The flame relay started on Monday at the Eiffel Tower.